Provide comfort for the family of Frances Hendricks with a meaningful gesture of sympathy. 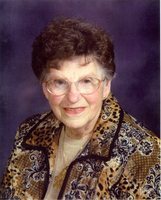 Frances E. Hendricks, 98, of Hazel Green, Wisconsin, died Saturday, March 30, 2019, at home. Services will be 10:30 a.m. Tuesday, April 2, 2019, at St. Joseph’s Catholic Church in Sinsinawa with Rev. Kenneth Frisch officiating. Burial will be in the church cemetery. Friends may call from 4-7 p.m. Monday at Casey Funeral Home & Cremation Services in Cuba City where the parish wake service will be at 3:30 p.m. Friends may also call from 9:00-10:15 a.m. Tuesday at the church before the service. Frances was born on January 30, 1921, in Dubuque, Iowa, the daughter of Frank and Elizabeth (Errthum) Freiburger. She married Vincent J. Hendricks on October 3, 1944, in Dubuque. A devoted wife, mother, grandmother and homemaker, Frances loved spending time with her family. Her house was always a home where she shared her wisdom, creating lasting heartfelt memories and traditions. She made countless quilts in her lifetime of which many were donated for charitable purposes. She enjoyed sewing, gardening, crafting and needlepoint. Cooking and baking were both interests she shared with her family and she always had time for a good card game. After her retirement from the Southwestern School system as head cook, she donated her time to St. Joseph School where she helped as a teacher’s aide. She loved giving her time and working with the students and teachers. She volunteered for 20 years before fully retiring. She also served as a member of the Daughters of the American Revolution. Her final days were spent surrounded by the company of close family members whose lives she had touched in cherished ways. 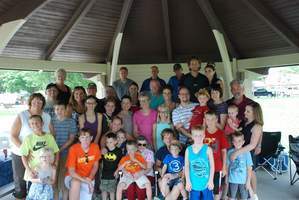 Those left to treasure her memory are two daughters, Joyce (Bill) Wood, of Hazel Green, and Mary Kay (Chuck) Deery, of Brodhead; two sons, Paul (Carol) Hendricks, of Cuba City, and Mark (Adele) Hendricks, of Hazel Green; three sisters, Irma Massey, of Dubuque, IA, Carol (Dan) McDermott, of Cuba City, and Lillian (Wilmer) Averkamp, of East Dubuque, IL; a brother, Larry (Ellen) Freiburger, of East Dubuque, IL; ten grandchildren, Sheila (Joe) Spitza, Shelley Swenson, Sarah (Jamie) White, Melissa Hendricks, Kim (Wayne) Wagner, Lisa (Shawn) Polnow, Stacy (Shane) Stennes, Tim (fiancé Holly) Hendricks, Andrew (Amy) Hendricks, and Brian (JoAnna) Deery; twenty one great-grandchildren, and two great-great-grandchildren. She was preceded in death by her husband, Vincent; her parents, Frank and Elizabeth Freiburger; four brothers, Elmer Freiburger, Franklin Freiburger, Edward Freiburger, and Henry Freiburger; three sisters, Stella Majerus, Florence Gerhard, and Viola Farrey; three brothers-in-law, LaVerne Hendricks, Omer Hendricks, and Joseph Hendricks; three sisters-in-law, Basilla Schonhoff, Isabella Schmeider, and Kathleen Munyon; and her close friend Dorothy Kuhl, among many others. Our hearts are filled with memories which we gathered through the years. All the happy times we shared are treasured souvenirs. In lieu of flowers, the family would like donations to go to St. Joseph School in Sinsinawa. 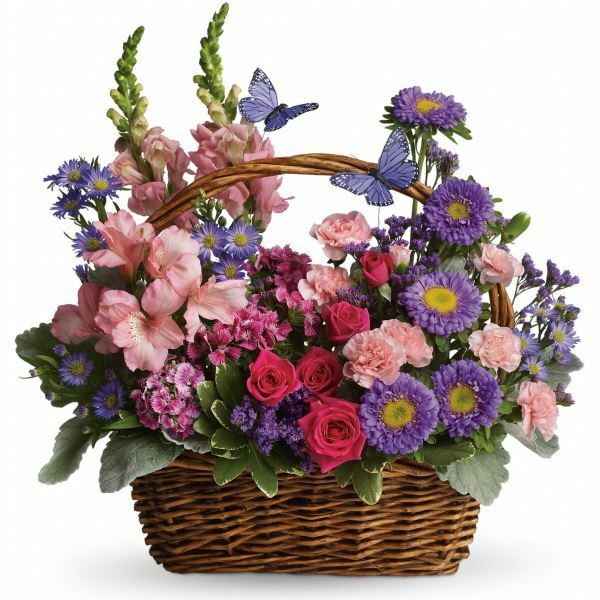 To send flowers in memory of Frances E. Hendricks, please visit our Heartfelt Sympathies Store. Troy & Linnea Miller and Family and Janet & Mike Simonian and David & Sandy Schmieder have sent flowers to the family of Frances E. Hendricks. Troy & Linnea Miller and Family purchased flowers for the family of Frances Hendricks. To a long life well lived! May you find peace in knowing this and remembering what a giving person she was. Janet & Mike Simonian and David & Sandy Schmieder purchased the Sweet Tranquility Basket for the family of Frances Hendricks. May the family of Frances E. Hendricks please accept my sincere condolences hoping you find comfort in God's words at Acts 24 : 15 and Psalm 37 : 29.